Opinion // Are Jordan Brand Ruining the Legacy of the Air Jordan 1? It’s no secret that the Air Jordan 1 has been Jordan Brand’s license to print money for decades. With releases of the Air Jordan 1 happening on a weekly basis over the last couple of years, many have called out Jordan Brand for its over-production of their most iconic silhouette. But that’s not the only thing that’s affecting the sneaker’s legacy — the recent reimagination and tinkering of the 1986 classic’s DNA have the OG heads furious. We get it, though. It’s a classic, and it always will be. It even topped our 25 Most Influential Sneakers of All-Time list But Jordan Brand is in business to make profits, and with the Air Jordan 1 historically being their best seller, it makes sense to punch out as many variations you can get away with. But how far can you push the sneaker before you start to destroy its legacy? If you feel like there’s already enough Jordan 1 releases, think about this; For every OG Jordan 1 High that gets mainstream attention (and there’s a lot), there are another ten — at least— less popular versions of the silhouette lurking in the shadows. Don’t believe me? Head here to find out for yourself. 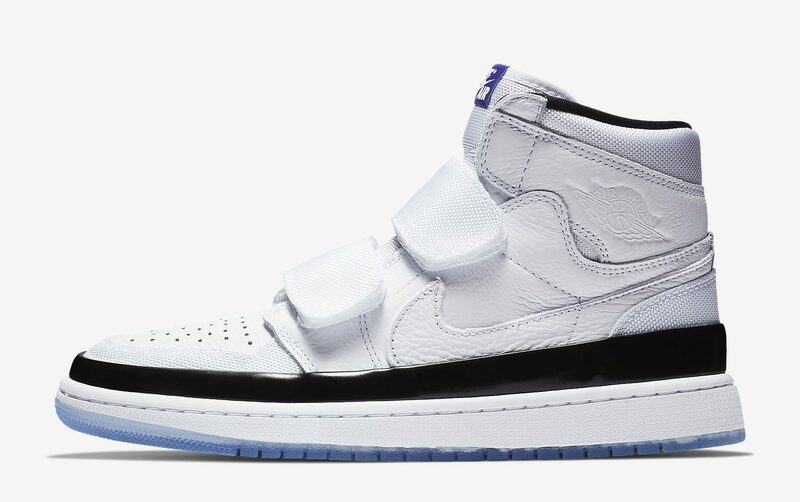 The Air Jordan 1 High Double Strap is yet another variation of the OG that has failed to gain any significant market traction. Excessive Mid and Low releases have been a constant campaign for Jumpman, but are often overlooked when discussing this subject. They’re not high? Well, they can’t be considered retro. But models like the “Rebel” “ruining the icon” are more of a variant that the mids and lows — You can’t pick and choose. They all belong to the Jordan 1 legacy, wether you like it or not. Those silhouette’s, the Mid and the Low, are often ignored by the purists, so why does their attention only focus on the newest takes? Perhaps we’ve just come to accept the fact that Mids and Lows will always be available in excessive quantities, and, for that reason, it’s rarely brought up in this debate. The new editions, however, are always center stage. The High Strap, the Double Strap, the Moto Air Jordan 1, the Flyknit — I could go on for the next 5 minutes. Speaking of, the recent Flyknit editions of OG colorways caused such a heated debate. But it was the complete overhaul of the OFF-WHITE x Air Jordan 1 that pushed the silhouette’s limits with the sneaker community, leaving the purists divided on the legacy of the Air Jordan 1, especially when it took on an OG colorway of such historical significance. How many failed attempts at leveraging your brand’s biggest icon does it take before the AJ1 loses its sway? Ironically, it seems that the sneaker that made the brand could also be ruining the brand at the same time. Perhaps people are only facilitating the discussion because the Air Jordan 1 means so much to me, to you and the sneaker community as a whole. Jordan Brand sure as hell know how influential their sneaker is, and by recreating the silhouette over and over (and over) again, Its creating talking points for blogs like this, social media and NikeTalk, keeping the ’85 icon forever in the spotlight and as relevant as ever. 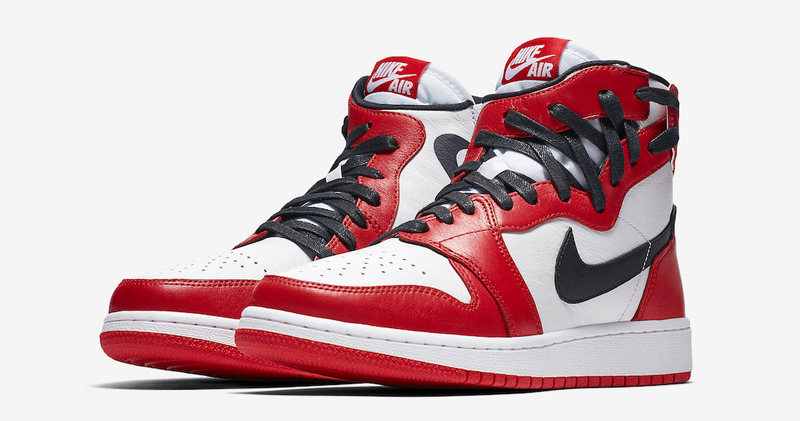 But for a lot of people, the love for the Jordan 1 is flailing. For those who are complaining about the sheer release numbers or the overworking of the silhouette, hold on a little longer. Everything in sneakers is cyclical. High demand and exclusivity eventually lead to oversaturation. Oversaturation should lead to a reduction in production, and things will ultimately work themselves out. But this is the Air Jordan 1 we’re talking about, an anomaly when it comes to sneakers. Owning a Pair of Jordan 1s should feel special. After all, it is the sneaker that started modern day sneaker culture. If it’s not too far gone already, let’s hope Jordan Brand can bring that feeling back sooner rather than later.